AMES, Iowa — Farmers preparing for spring planting would do well to renew their commitment to managing soybean cyst nematodes, according to an Iowa State University plant pathologist. “I’m doing everything I can to convince farmers that we are on a slow-moving train heading towards a cliff,” Greg Tylka said of the push to revive a program called the SCN Coalition (https://www.thescncoalition.com). The SCN Coalition started in the 1990s to raise awareness and provide information about the yield-robbing pest of soybeans. The program was successful in getting farmers to test for soybean cyst nematodes (SCN) and take steps to manage them if they were found to be a problem. One of the popular management techniques was planting soybean varieties that had resistance to the worm, which latches on to the plant’s roots and feeds on its fluids. Tylka said that although resistant varieties worked well, most of the resistance is based on a single genetic factor called PI 88788. 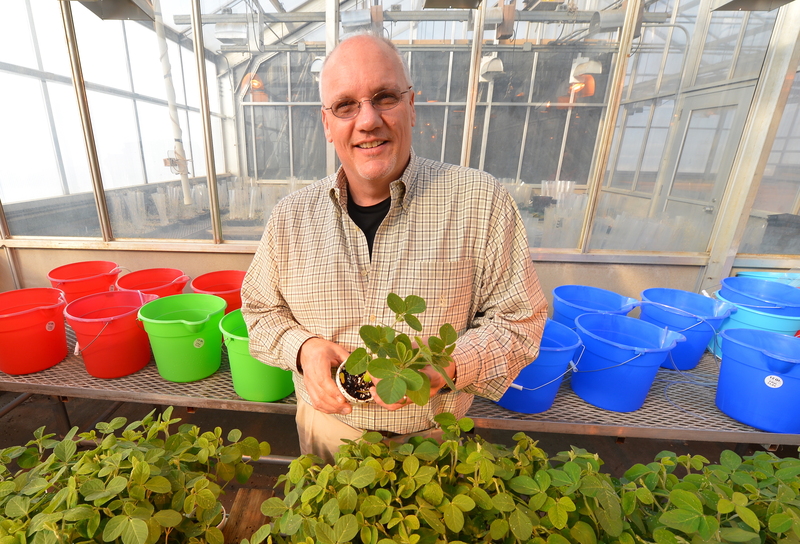 His research team has documented steady increases in SCN reproduction on soybean varieties with PI 88788 and accompanying yield decreases since 2001. Other university researchers across the country report a similar trend of increased SCN reproduction. The number of SCN in a field can be greatly reduced through proper management, but it is impossible to eliminate SCN from fields once it has become established, so it requires continual monitoring. Ways to manage SCN include rotating crops, because SCN doesn’t affect corn, oats or alfalfa; and rotating with a resistant soybean variety based on the PI 548402 breeding line, commonly known as Peking. Farmers also should consider using a seed treatment nematicide. Tylka said SCN is a problem across the states that grow soybeans. The coalition’s website has more information based on location at: https://www.thescncoalition.com. The coalition is supported by the soybean checkoff with funding from the North Central Soybean Research Program and the United Soybean Board. Coalition members include university research and extension faculty from 12 Midwestern states and Ontario, Canada plus industry partners BASF, Bayer CropScience, DuPont Pioneer, GROWMARK, Monsanto, Syngenta, Winfield United and the Corn and Soybean Digest.